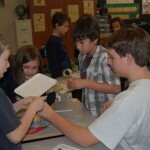 Penn Manor High School TSA (Technology Student Association) members and high school technology education teacher Sean McKnight have been working with Martic Elementary 4th grade students to take engineering to a whole new level. 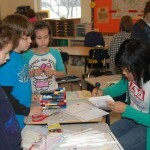 The high school students are hoping to create interest in engineering at a younger age. The high school group plans to visit all 4th grade classes in the district. Each elementary school will identify a different issue so each program will be different. Martic Elementary identified a problem – wells drying up – and the high school students assisted the 4th grade students come up with a design for rainwater harvesting. 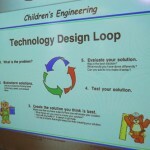 The students work from the design process to the construction of the device to testing.